President Muhammadu Buhari has cast his vote for the governorship and House of Assembly election in Daura, Katsina state and urged security agents to tame any impending violence during the exercise. Mario Reporta understands that Buhari voted around 8.am in the company of his wife, Aisha. Speaking after the exercise, the president urged security agents to tackle any incidences of crime. According to him, he is not surprised that his victory at the February 23 election is being challenged. 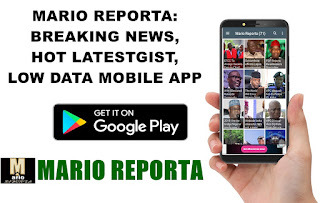 Buhari defeated Atiku Abubakar of the Peoples Democratic Party (PDP) in the election to secure a second term in office. However, Atiku has dragged him to court as he alleged that the election was not free and fair.